The fulfillment process (processing order to delivery) is an essential part of an Ecommerce Business. An efficient fulfillment process can give your business an advantage over your competitors. 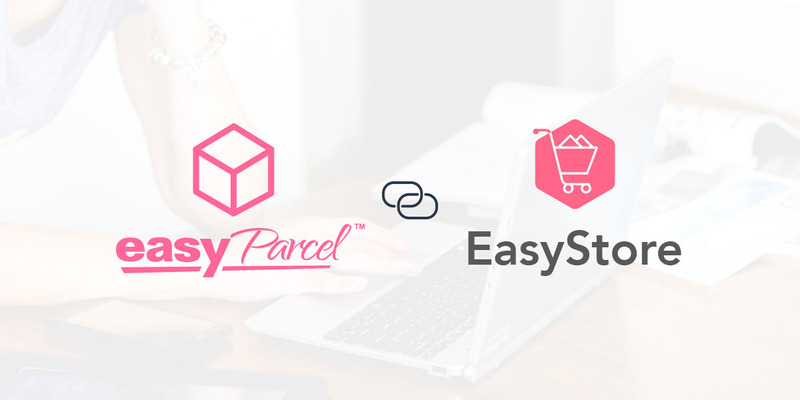 Now EasyStore merchants can gain that competitive advantage with our new integration with EasyParcel. EasyParcel is a delivery solution that really takes out the hassles when it comes to delivery. You can now integrate EasyParcel with your online store. With this new integration, EasyStore merchants can enjoy the benefits of EasyParcel’s delivery solutions and also make fulfillment process easier and more efficient than ever before. It’s time to separate your business from others. Reduced order mistakes with an order management system and faster fulfillment will give your customers higher satisfaction. You will need to have the EasyParcel app installed in your EasyStore first. You can install it here. This is what the process looks like: 1. A customer makes a purchase from your online store 2. You log in to your EasyStore to view the order 3. fulfill the order via EasyParcel and choose a courier 4. Shipping info will automatically be registered to your EasyParcel account 5. Download your air waybill All of this is done without having to leave your admin panel! This feature is only available on EasyStore 2.0. If you are using the older version, please ask us about migration to the new system. You will also need a verified EasyParcel account. For a step-by-step guide on how to get set up, you may follow the EasyParcel + EasyStore integration guide.